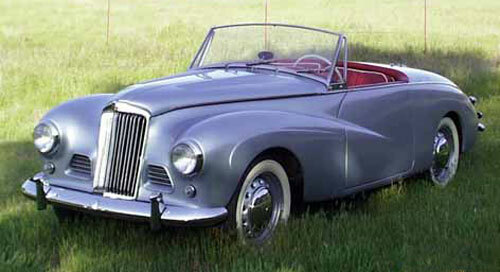 I have a couple of confessions to make regarding this week’s movie star, the ’53-’55 Sunbeam Alpine Mark I. The first is that I have a profound weakness for “its” film: The 1955 Hitchcock thriller To Catch a Thief, starring the peerless Grace Kelly and that big oaf Cary Grant. Kelly plays an American debutante on holiday in the French Riviera, an area in which I’ve spent a good deal of time, so much of the film scenery is a trip down memory lane, so to speak. 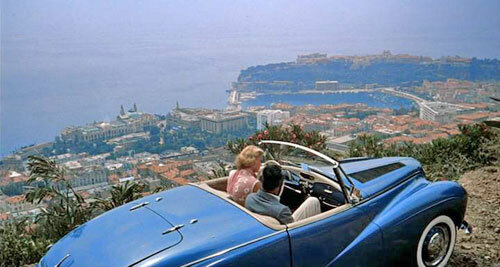 Kelly’s character drives her powder blue Alpine at breakneck speed around one of the region’s serpentine corniches, establishing her seemingly prim disposition as something of a closet daredevil, and “showcasing” the car’s handling prowess—at least, as much as it can be when filmed on a static set, employed for the close-ups. 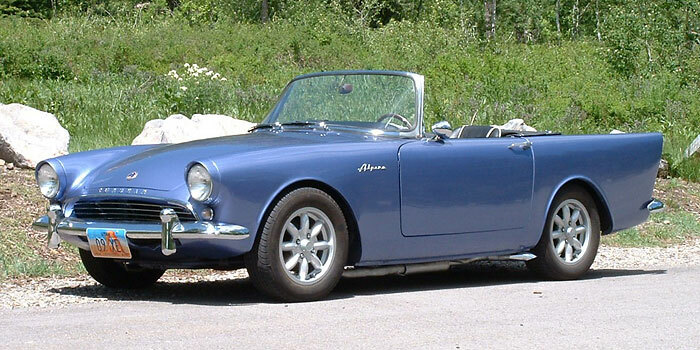 My second admission is that I had mistakenly remembered the movie car as a example of the later, even lovelier ’59-’68 Sunbeam Alpines, when in fact it was one of the earlier, much more obscure cars. That said, judging by the opening paragraph of this fan page, it’s probably fair to assume that’s a common mistake. Powered by an indifferent 2.4l inline-four, the Mark I Alpine wasn’t really about performance. Much like its later spiritual brethren the Mercedes 190SL and Karmann Ghia, it was more of a style accessory than anything else. Also like its German descendants, that focus doesn’t blunt its appeal in the least—for what it needed to be in the film, it was almost perfectly cast. Judging by the way it blends so effortlessly into its starring role, emphasizing all the requisite qualities of Kelly’s character, it deserves recognition. And here I thought you were going to tell us about the TV comedy skit where Imogine Coca gets frustrated by Joseph Lucas’ petulant electrics and starts ripping out the ignition wiring! Anyhow, can you tell me which Danny Kaye movie had him and his pursuers walking over or thru an Austin Healey, from door to door in a busy traffic intersection?